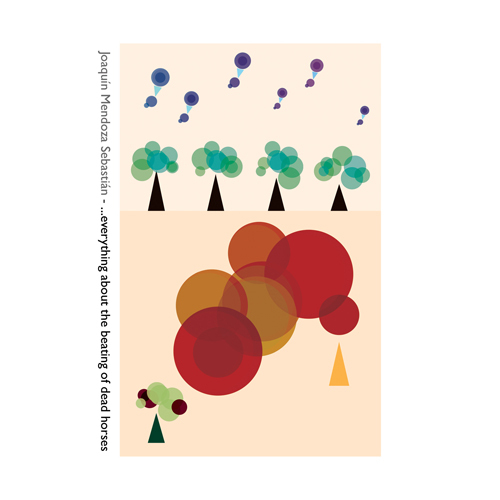 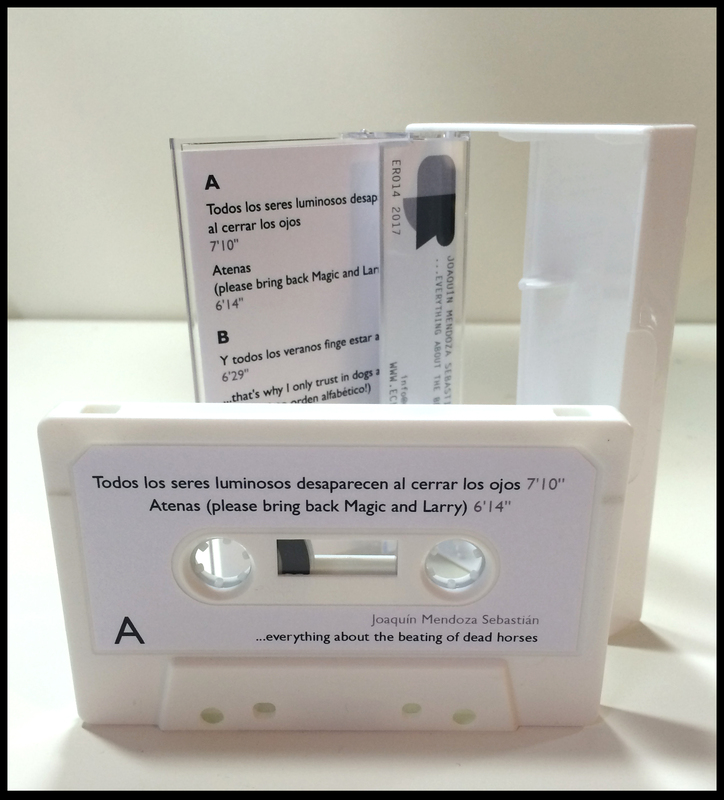 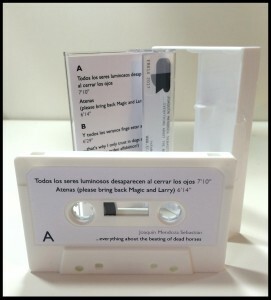 Fourteenth of the Eclectic Reactions releases, coming from the Venezuelan composer settled in Madrid Joaquín Mendoza Sebastián and entitled “…everything about the beating of dead horses”. Limited edition of 70 cassettes with special packaging and a print of pure data code of one of the tracks on vegetal paper, and as extra content the patches for Pure Data and Sonic Pi of two of the tracks. 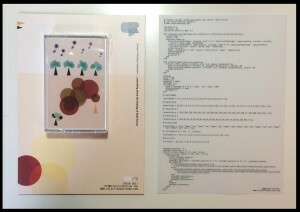 Four tracks throughout almost half an hour of sonic experimentation, electroacustic and microtonalism, performed with neatness and a lot of soul under the pretil of the computer music.